Denja Dark Brown Occasional Series by Ashley. Made with select birch veneers and hardwood solids in a dark brown finish. 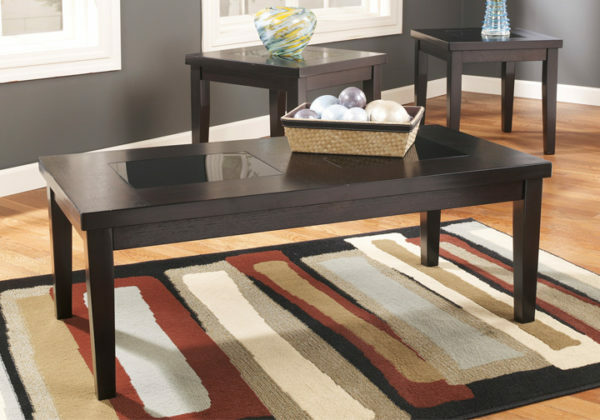 Table tops have black colored glass inserts.